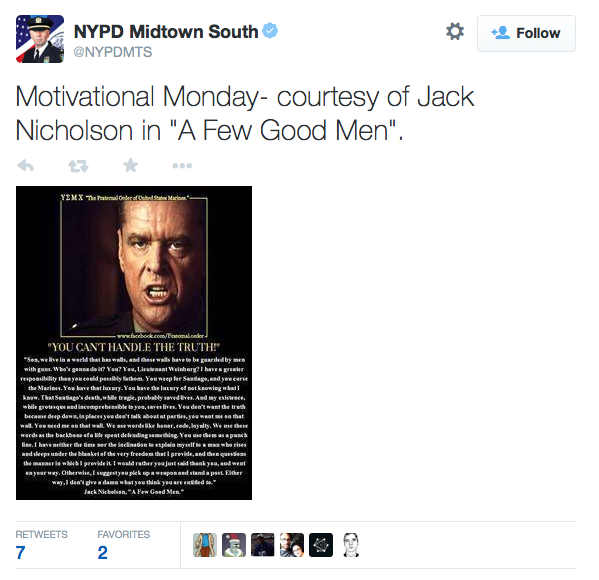 NYPD, "A Few Good Men," Jack Nicholson: Precinct endorses Code Red. The image in the tweet is a transcript of Jack Nicholson’s famous monologue from A Few Good Men. Playing Col. Nathan Jessup, Nicholson justifies a secret “Code Red” order to attack an American Marine on the grounds that “grotesque” men and unsavory violence are necessary to protect the border between civilization and chaos. 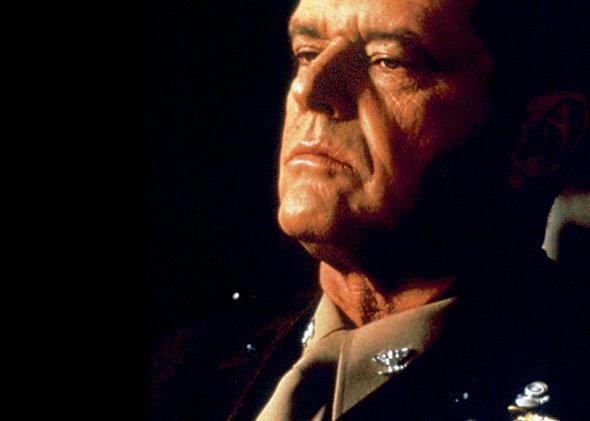 In the movie, the Marine subject to the “Code Red” has died in what is classified as a murder, and after giving his monologue, Jessup is arrested.